Hello! I can not believe it has been 10 months since my last post! Wow! After my last post I did find out we were expecting and I was very sick for a couple months! I spent those months in bed just about everyday! It was awful! We had our new baby Liam on October 9th 2017 and he is the most precious little nugget ever! I will be sharing more of his birth story later! I have been on a break from work and creating but I am now back and so excited to be sharing again! 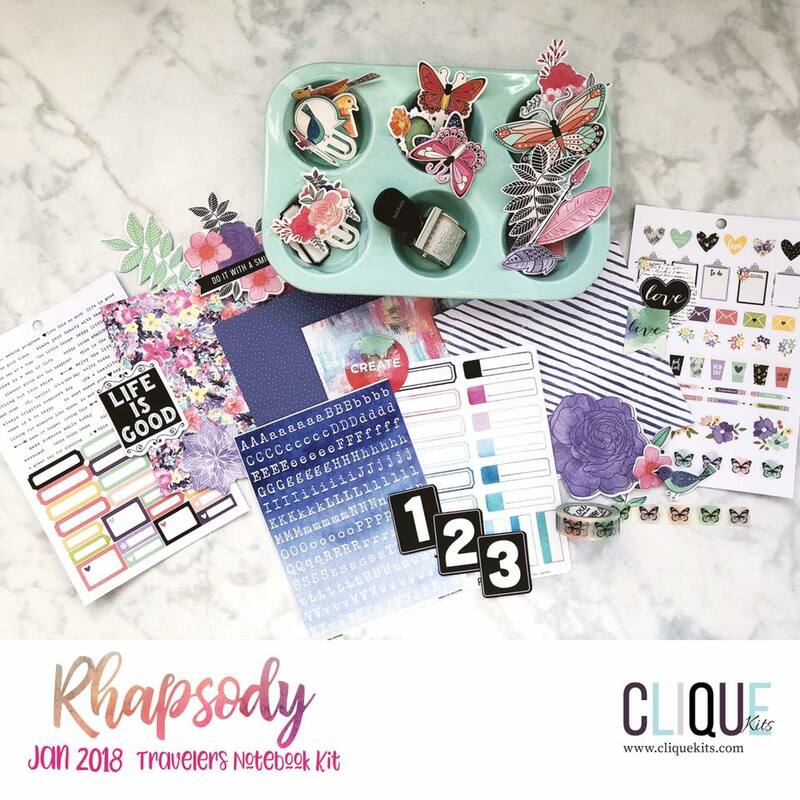 Today I want to share a layout I created for the Clique Kits blog using the January 2018 Rhapsody kits! These kits are just gorgeous and they sold out very quickly! 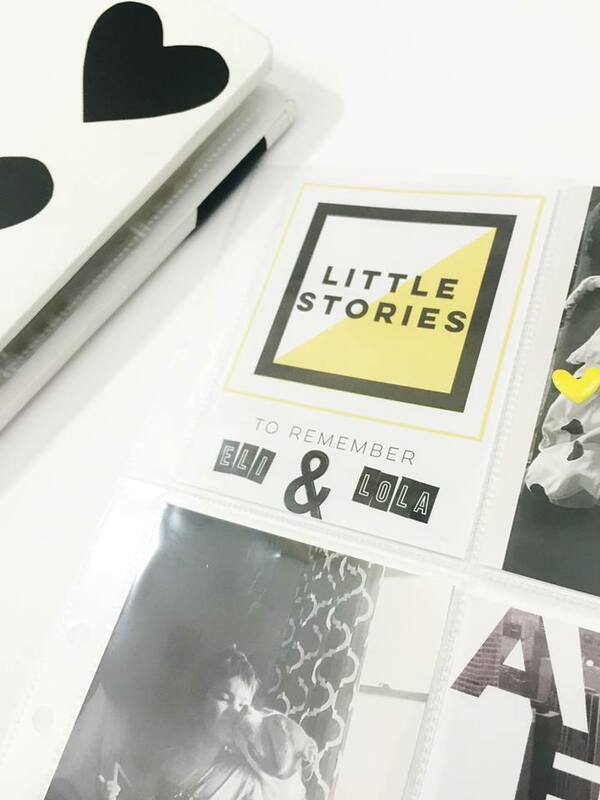 Clique Kits does still have some of the Travelers Notebook kits available in the shop so if you are interested I would grab one ASAP! I started out by cutting out a cut file from desingned by Inna Moreva and you can find it in her Etsy shop handipaper! I used the papers from the Travelers Notebook to back the cut file and I love how it turned out! I pulled a piece of white 12×12 cardstock from my stash and added some watercolors and Shimmerz Vibez to the paper for some color! I will have a list of products down below if you are interested in picking some up! I pulled out embellishments from both kits and wanted colors that had blue tones and also a little black. This kit has a lot of purple and pink but wanted to show you can use this kit for boy projects as well! 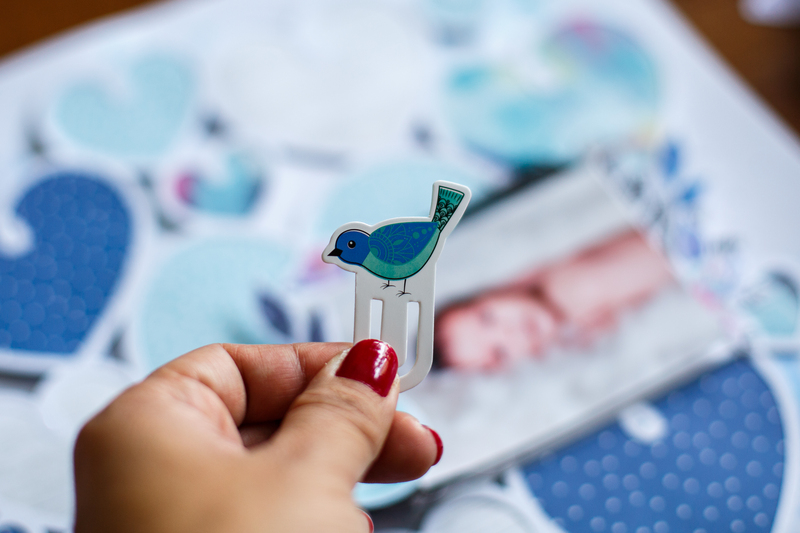 This super cute bird clip is from the Travelers notebook kit and I fussy kit him out and added him as an embellishment to my page! Here is a look at my completed layout! 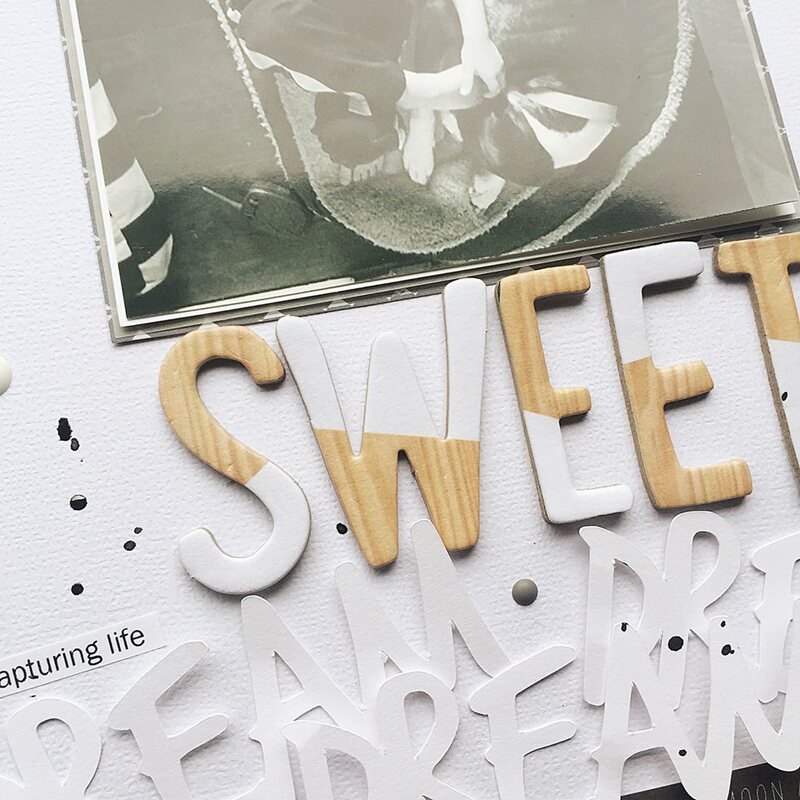 For more projects using the January 2018 Clique Kits please head on over to their blog! Thanks so much for stopping by today and I will be back next week with another post. Have a great day. Hey Everyone! Wow! 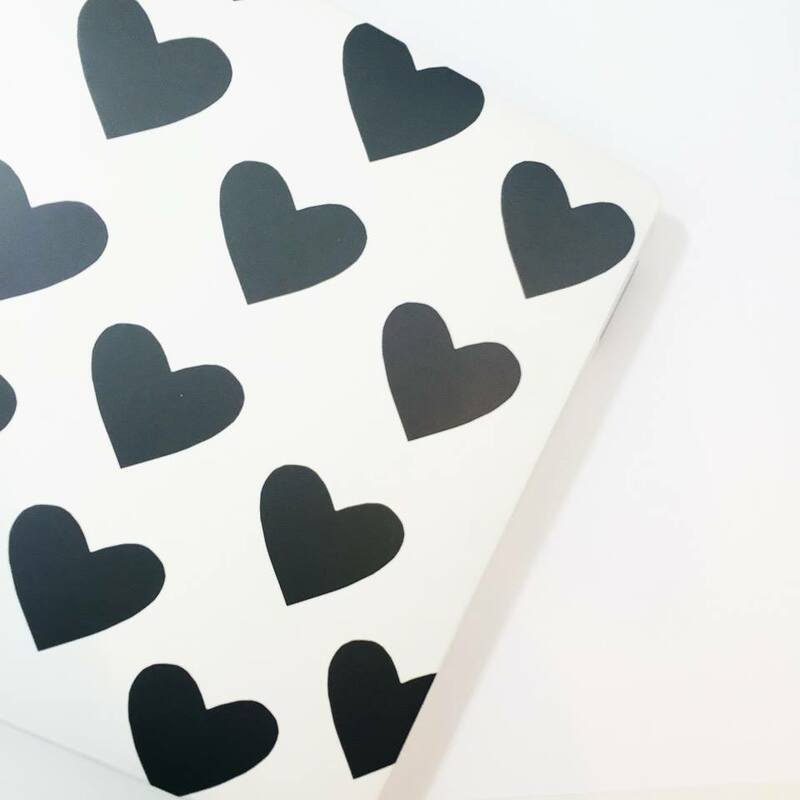 It has been a very long time since I have posted to my blog!! This will change in 2017! I will be blogging more, sharing more videos and just creating more! Enjoying what I love to do and documenting every moment of our lives! 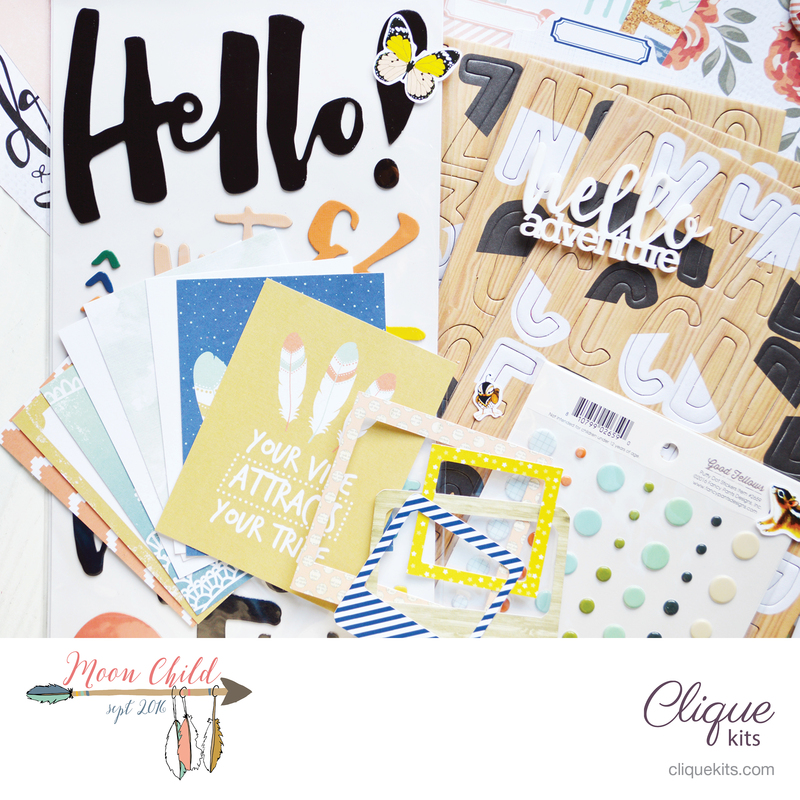 I wanted to pop in quick today and let you know I have a new layout up on the Clique Kits blog using the beauitful January 2017 kit! 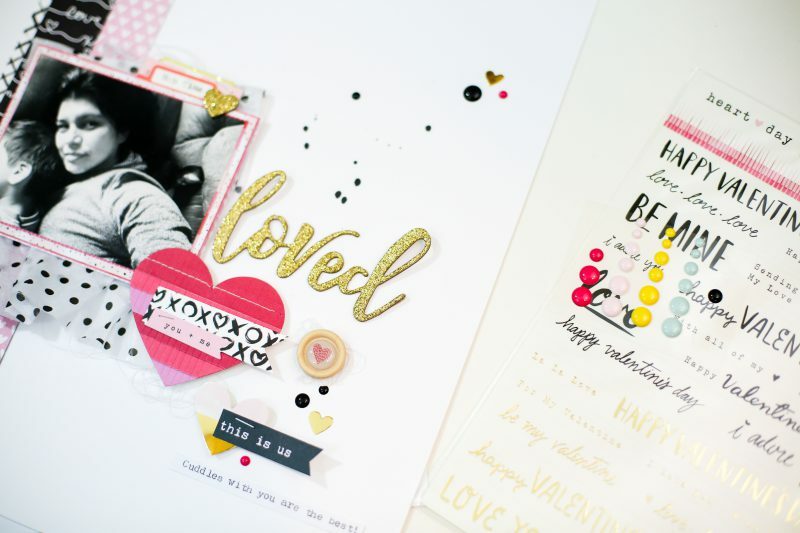 Clique Kits also has a very limited Valentine kit that is the perfect partner to the January kit! I would love for you to head on over the Clique Kits blog and check out my latest layout using these kits! Both kits are jam packed full of yummy products and if you are not a subsriber to Clique Kits no need to worry! 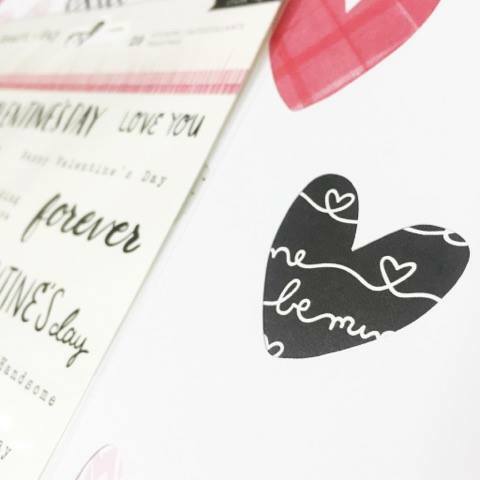 Anyone can purchase the limited edition Valentine Kit featuring Heart Day by Crate Paper! Thanks so much for stopping by today! I will be back tomorrow with another layout using these fabulous kits and adds! Here is a little sneak of what you will see! 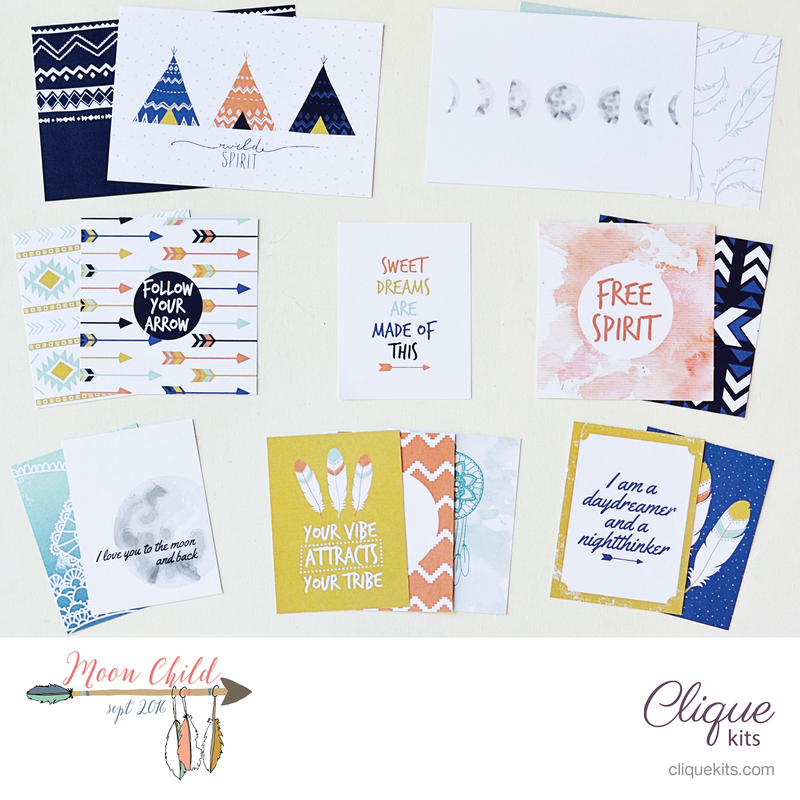 Welcome to the Clique Kits September Blog Share! You should have arrived from Gia’s blog but if you were just stopping by for a visit then CLICK HERE to start the hop from the beginning! Today we are sharing projects using the September 2016 kit! 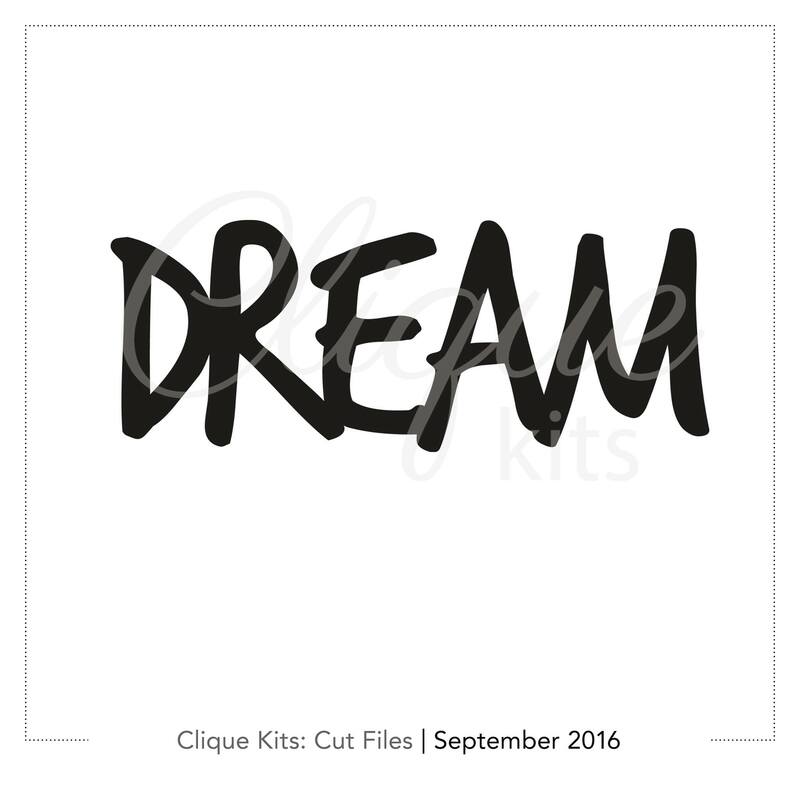 This kit is still available in the Clique Kits shop so grab it before it is gone HERE! 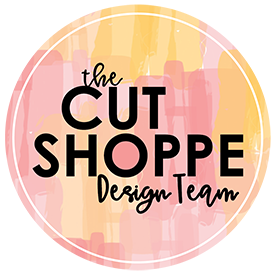 Today I had some fun with one of the September exclusive cut files available with the kit! My layout today is clean and simple with a lot of white and I just love it! 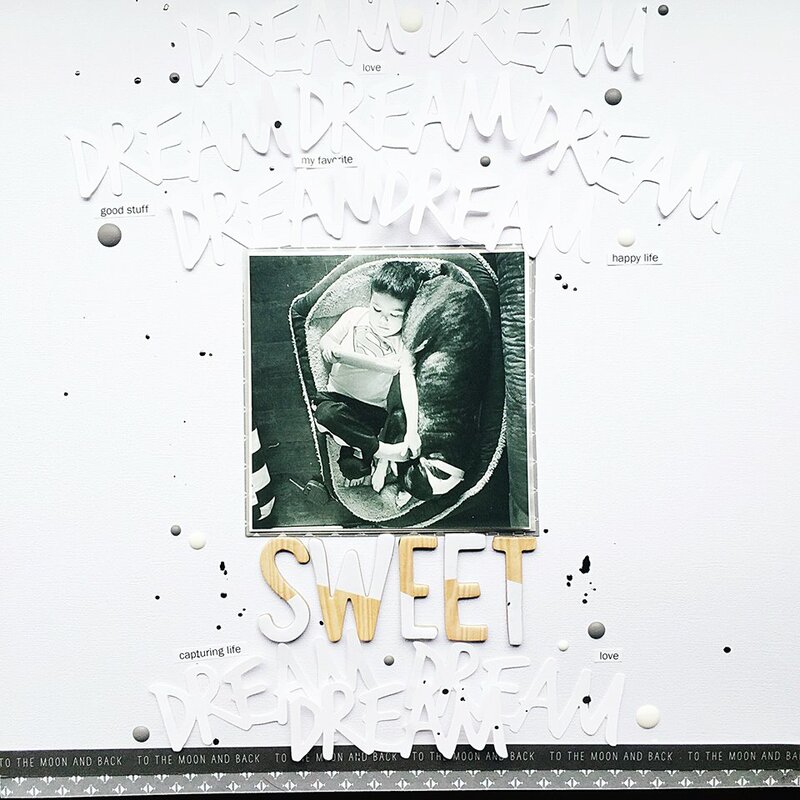 I cut out the Dream cut file a lot of times out of white cardstock and used a white background for my layout! I placed my photo in the center with only a couple layers behind it! 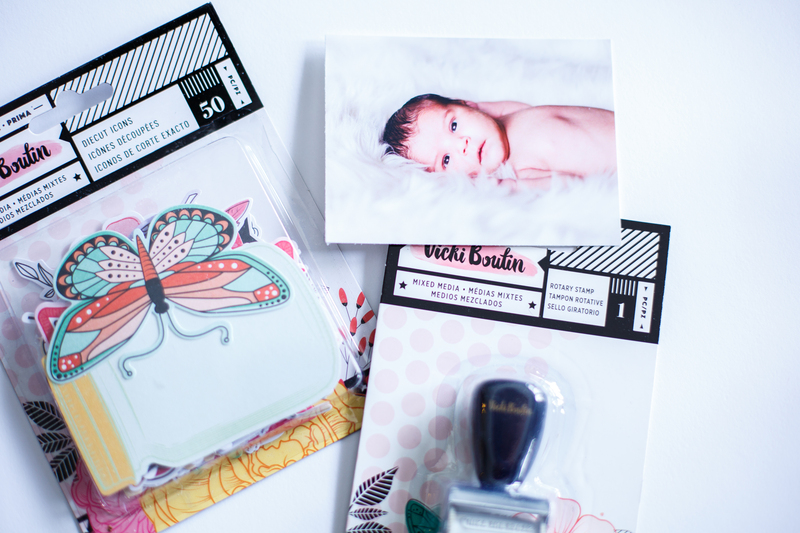 I love the alphas included in this months kit from Fancy Pants Designs! I used them for my title and love how clean they look! 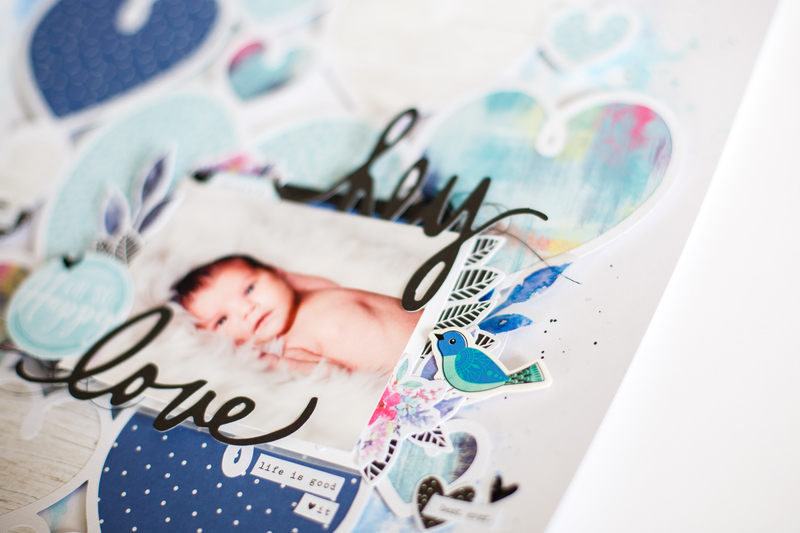 Here is a look at my final layout using the September Kit! I hope you liked my layout using the kit! Today is the last day of our past kit sale! 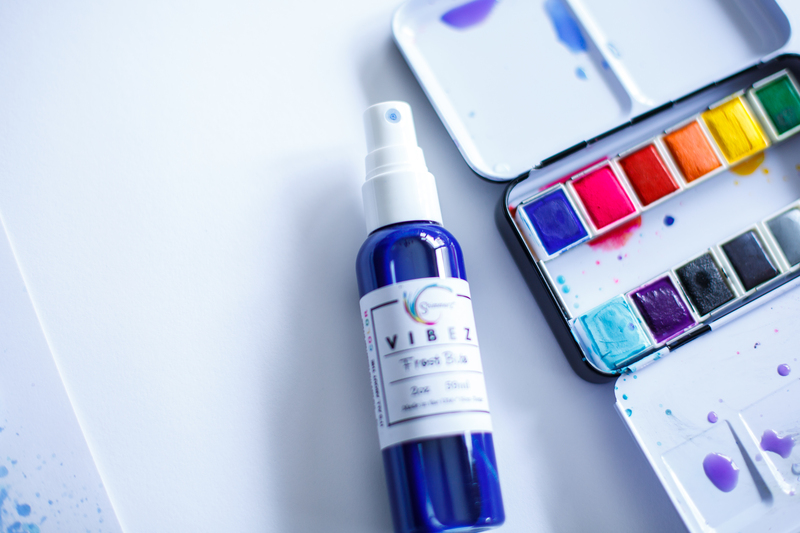 Kits are $19.99 until midnight tonight! Also get ready for a new Limited Editon Travelers Notebook kit coming soon! 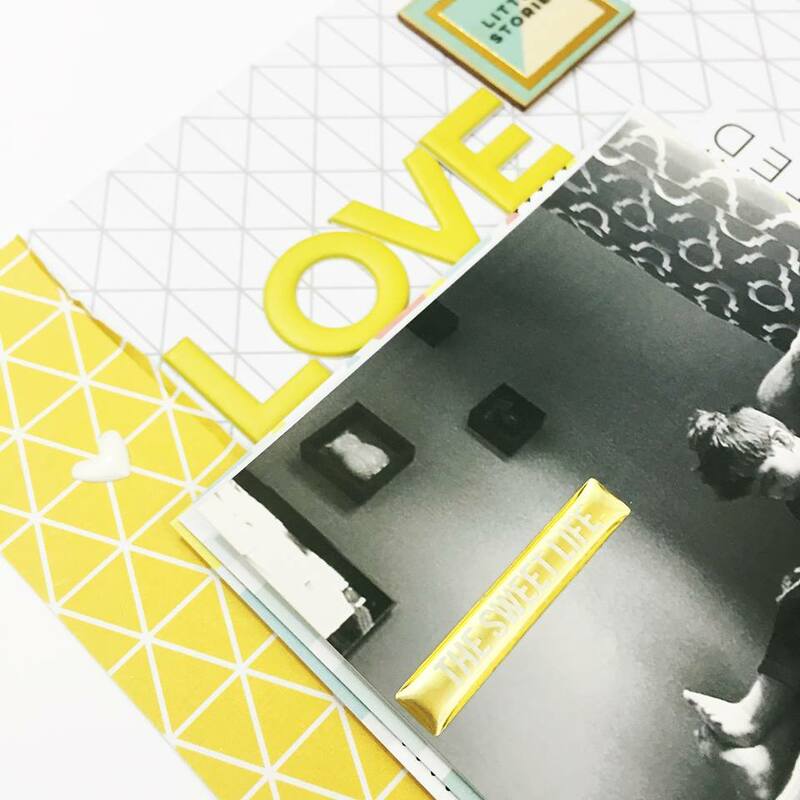 This kit is a special kit for fall and to help document 30 days of gratitude with tons of inspiration and a free class for subscribers and for anyone purchasing the kit! Thanks so much for stopping by today! Your next stop is NICOLE! Enjoy the hop and have a great day! 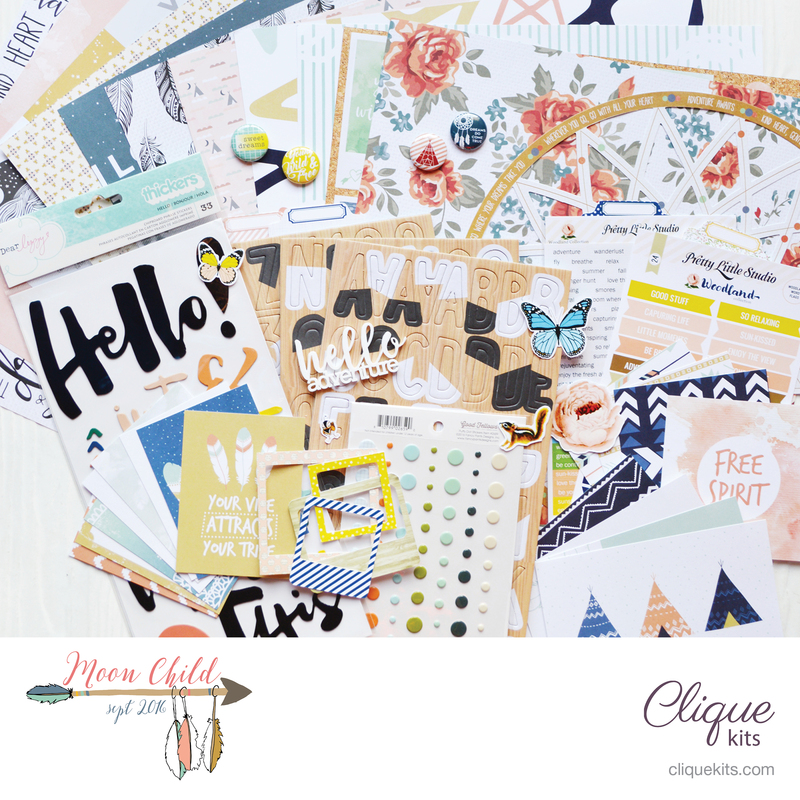 Hello Hello and welcome to the Clique Kits August Blog Share and September Kit reveal! 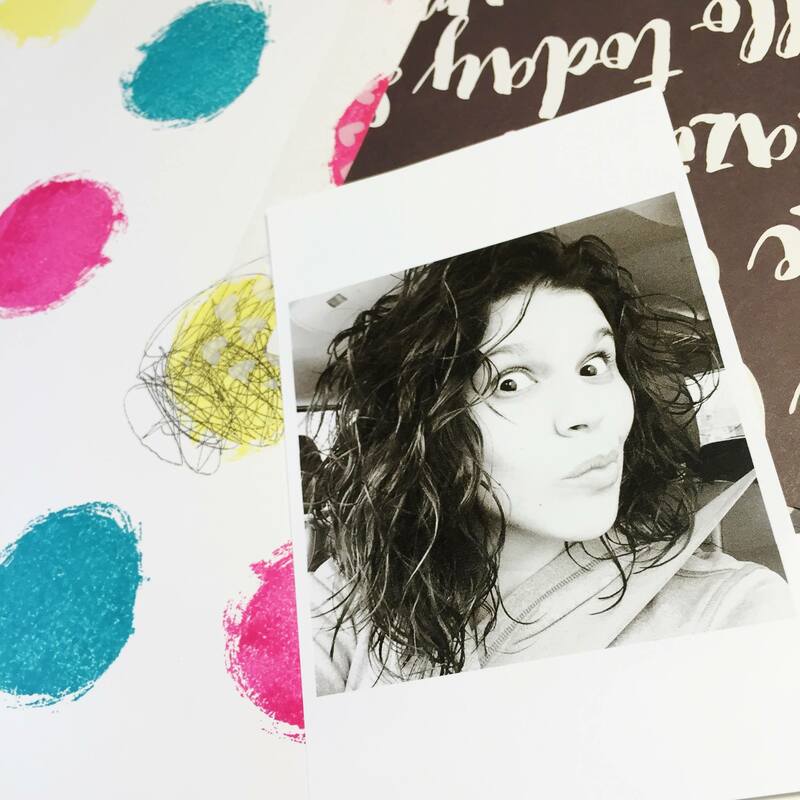 I am so excited that you are all joining us today and we hope that you leave the hop feeling inspired and ready to create! If this is your first blog share with Clique Kits then let me give you a little run down on what it is all about! Each month the Design Team and any subscibers that want to join in share projects made with the current kit! Kinda like a pep rally for the big event and that big event being the reveal of our next kit! 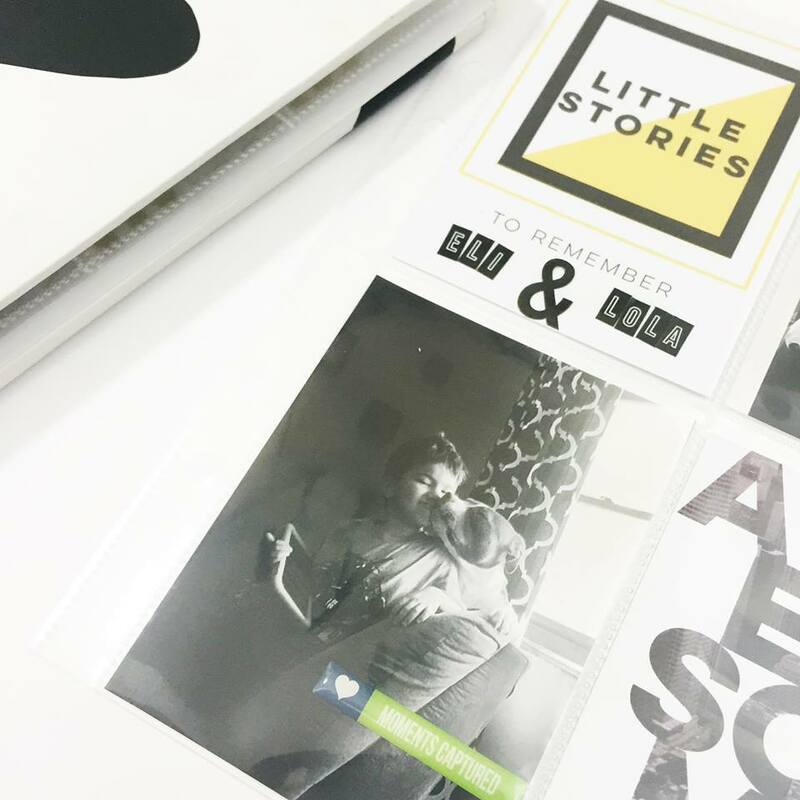 It is a great way to share what we have all been creating with the kit and inspire others who have yet to crack open that kit! For me it is something I look forward to each month! 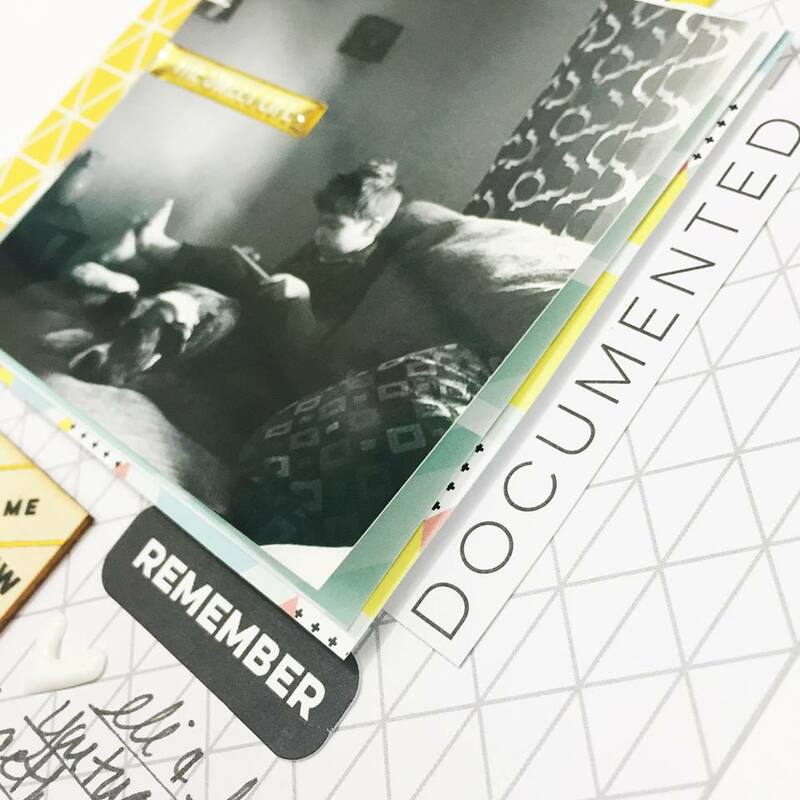 We spend so much time and pour our hearts into each kit and makes me happy to see our subscibers projects and memories documented! If you are not yet a subscriber we would love to have you join us! Only a few spots open beginning with out September kits which is one of my favorites!! 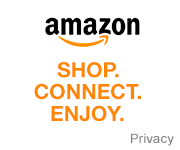 CLICK HERE to subscribe or to purchase a la carte then CLICK HERE! Now onto my project for today!! I had so much fun with the August kit! You can gran one for yourself HERE in the shop! I wanted to pull out an old cutfile that is one of my favorites from May 2015! 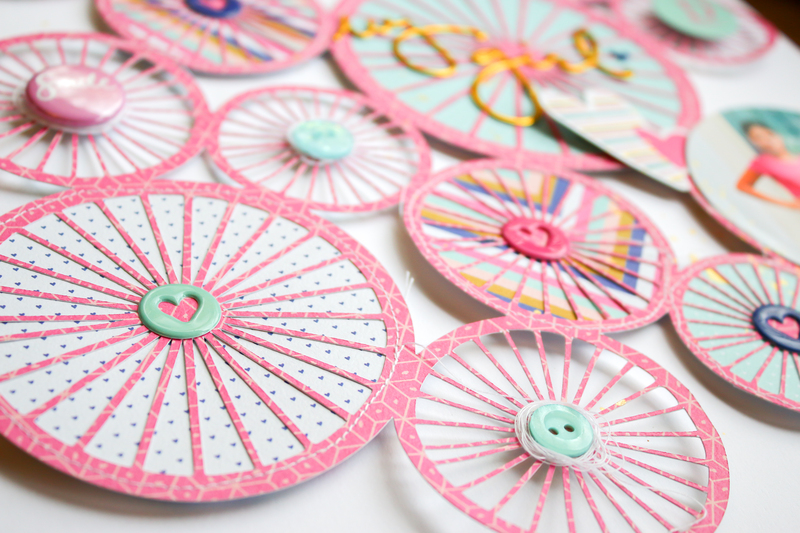 I backed some of the circles with pattern paper from the kit and also from the 6×6 paper pad that was an add on for August! 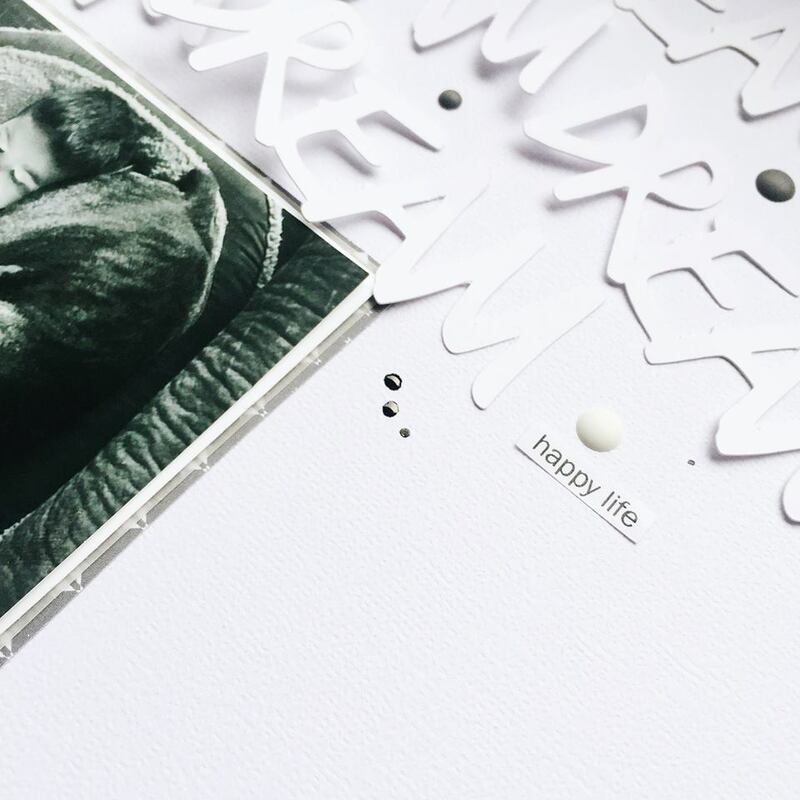 I love picking up the 6×6 pads because they are perfect for backing cut files like this! The photo I am documenting is of our daughter on her first day of school! She is our only daugher and boy is she a busy girl! She keeps us on our toes that is for sure! She is not much for the color pink so I was surprised when she picked this pink shirt to wear on the first day! Of coarse I need to highlight that pink by cutting the file out in pink! I added some buttons from the fabulous May Flaum 28 Lilac Lane collection! 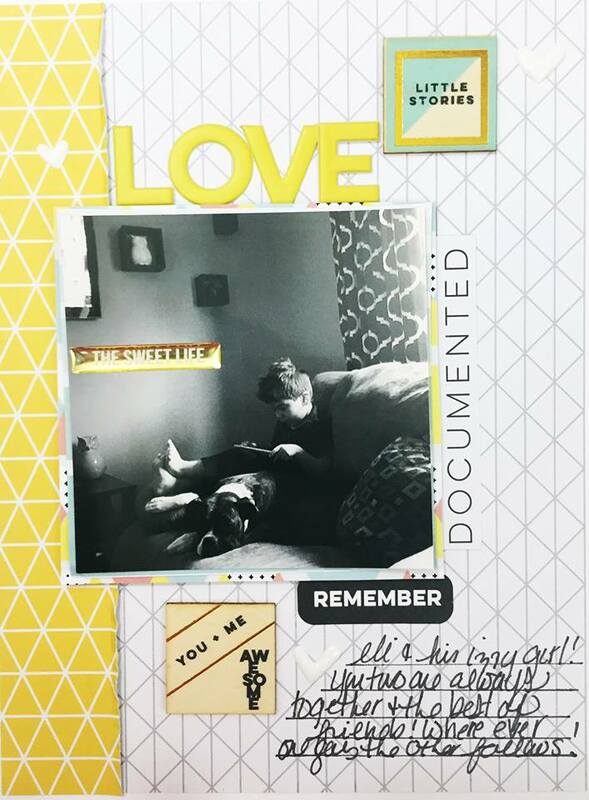 I have had these in my stash since the CHA show and I am so happy to use them on this layout! Here is a look at my final layout! 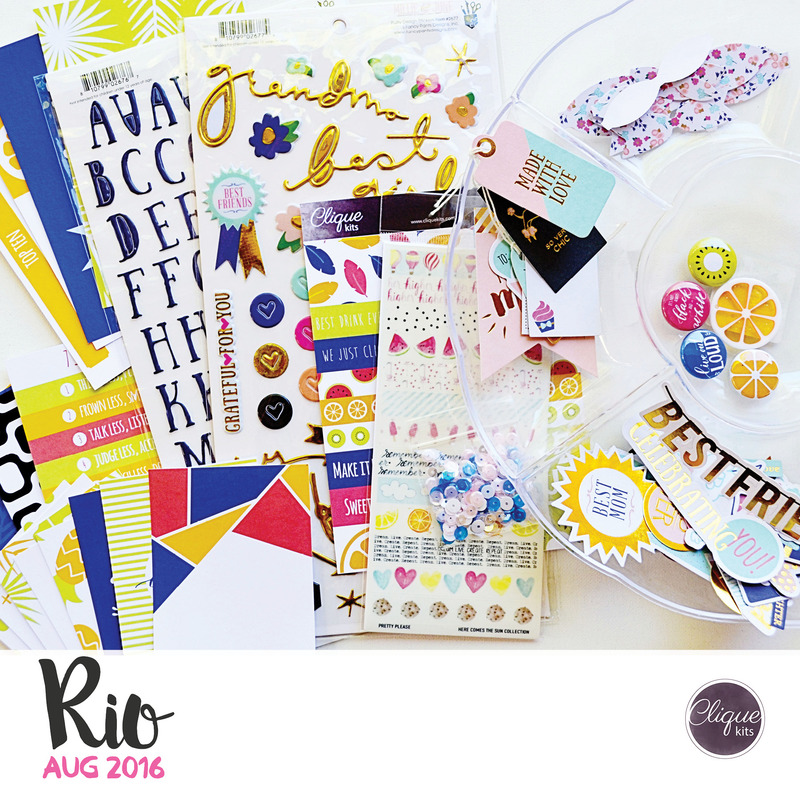 For your chance to win an August kit of your own make sure to comment along the way! The more comments you leave the more chances you have to win! Your next stop in the hop is Kat! We hope you enjoy the hop and have a wonderful day! For a look at the beautiful September kit please check it out down below!! 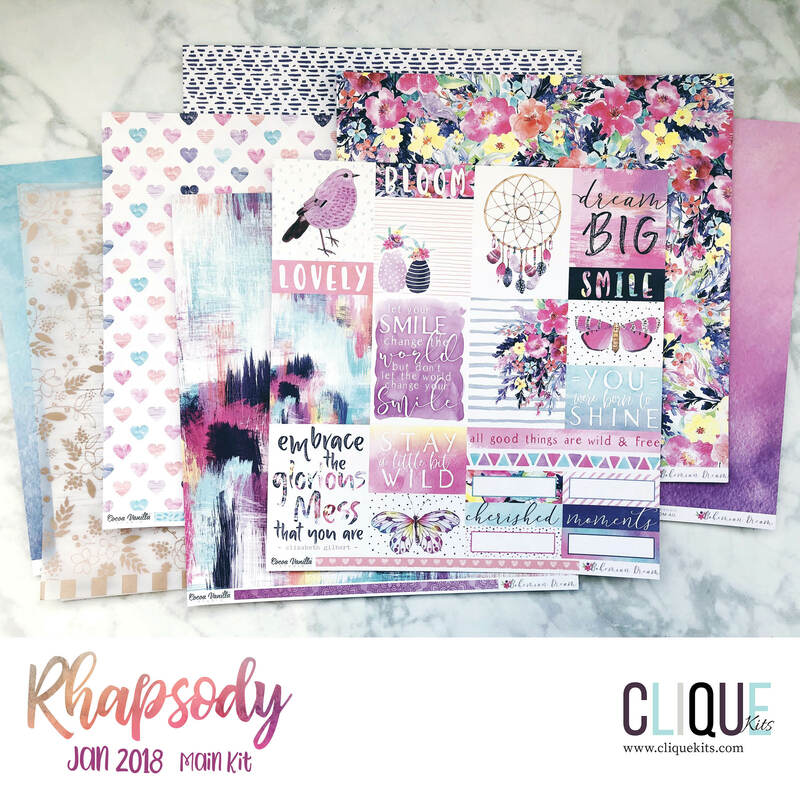 Hey Everyone and welcome to the Clique Kits July Blog Share! You should have arrived from Gia’s Blog but if you did not and want to start the hop from the beginning please CLICK HERE! 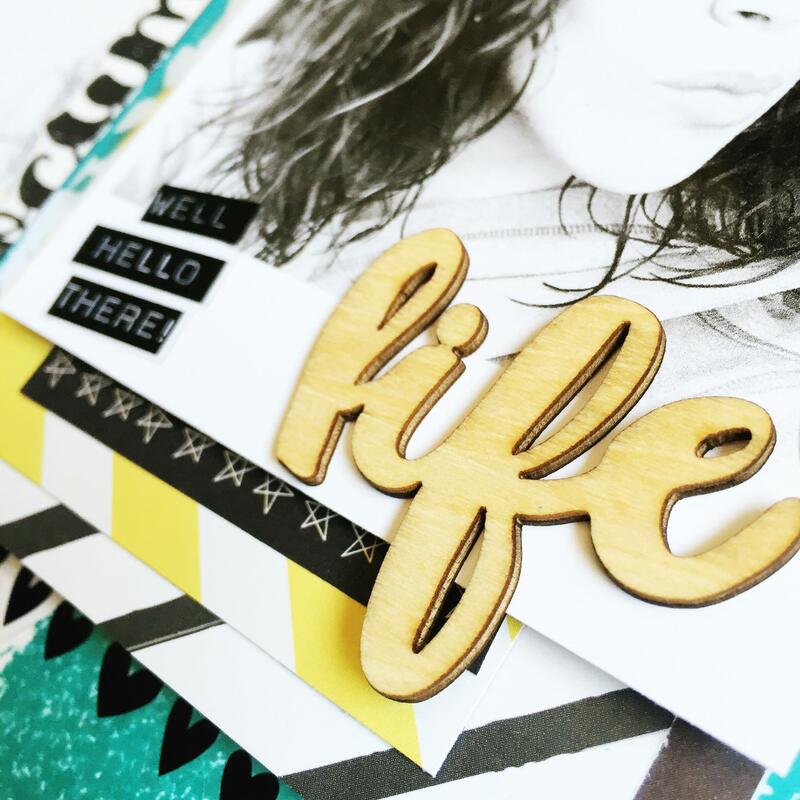 Today we are sharing projects using the July 2016 Clique kit that featured the Life Noted collection by Pinkfresh Studio! 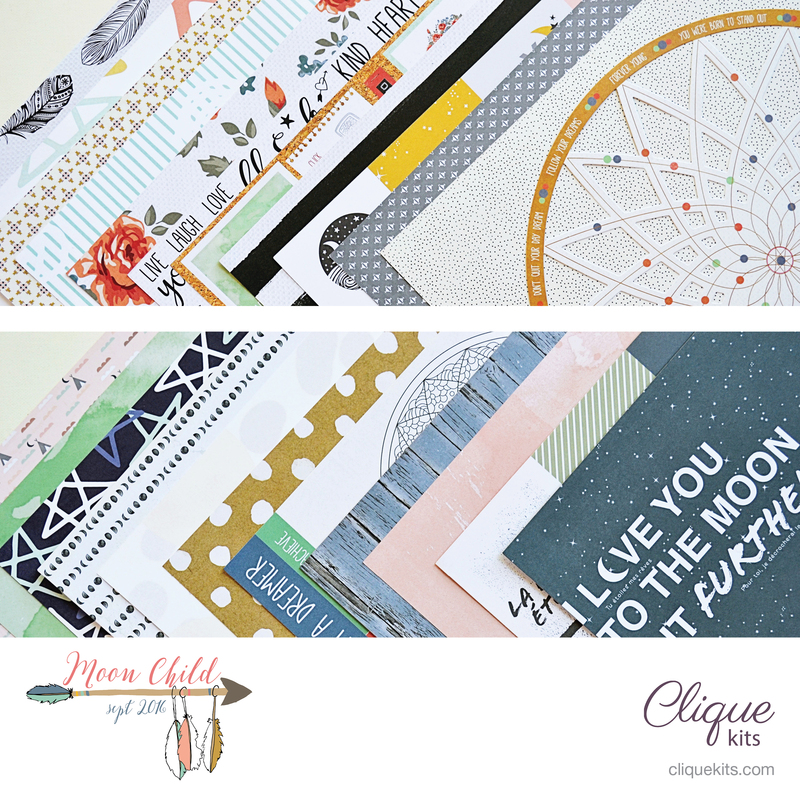 The design team and subscribers along with some of the Clique Kits Co Founders have a great line up for you today and we hope you enjoy all the inspiration! For a chance to win a July kit of your own remember to leave comments along the way! 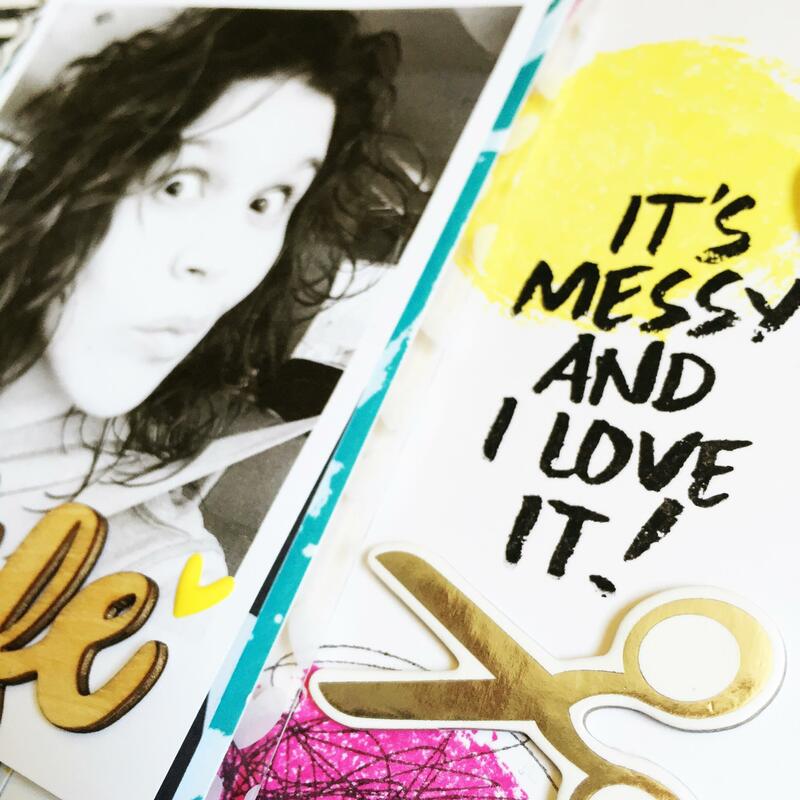 Today I am going to be creating some pocket pages and using the beautiful 6×8 album from Ashley Goldberg that is available in the Clique Kits shop! I have a ton of photos with our kids and fur kids so I want to create an album to document all these photos! This album will be perfect! This album has a nice thick binding so perfect for documenting tons of photos! I kept these pages nice and simple and I want to focus more on the photos and the stories so embellishing will be kept very light! I used the pocket pages that came in the album and one is a 3×4 pocket page and the other is a 6×8. 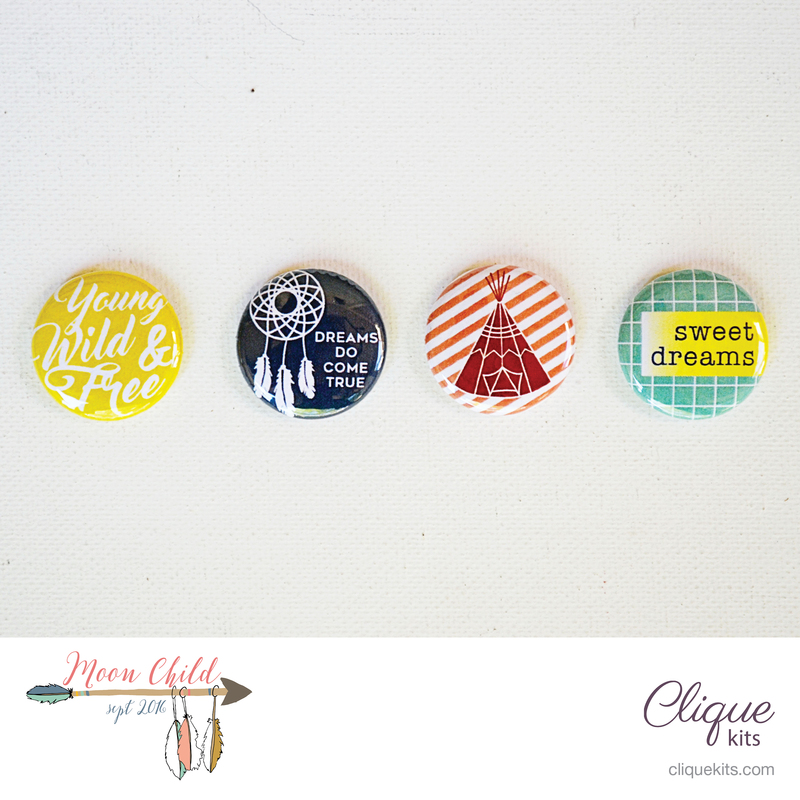 The Clique Kits shop does also carry other refills at a great price! I really love the 6×8 size pages! Creating a small layout like this was quick, easy and fun! 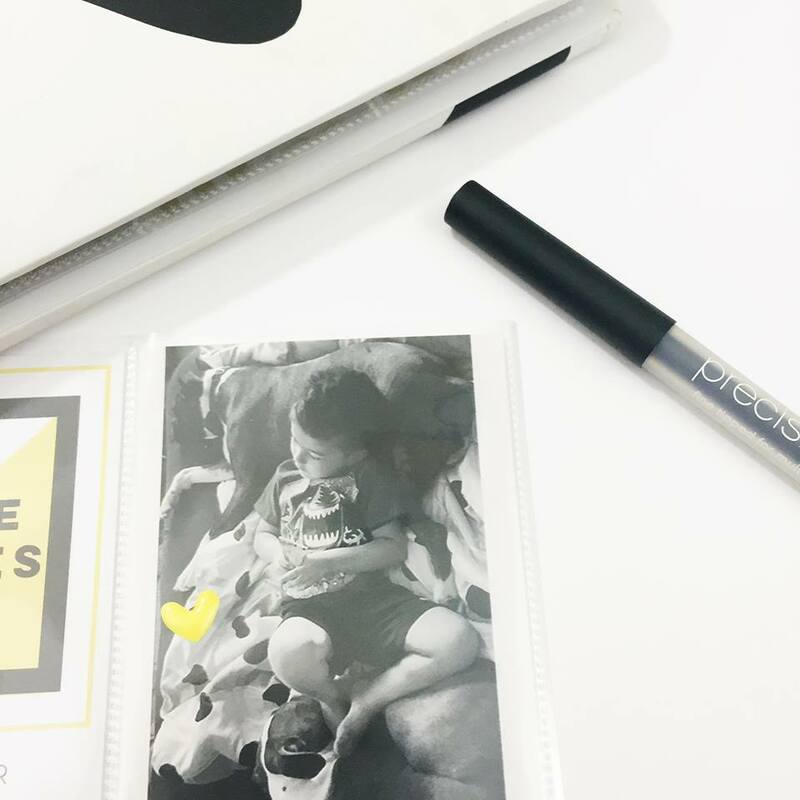 If you are short on creative time then these pocket page albums are fantastic to get your memories documented! To see my full process I would love for you to check out my video listed below or you can CLICK HERE! Your next stop in the hop is Justyna! Here is the full line up for you as well! Thank you all so much for stopping and I hope you have a great rest of your day!! Enjoy the hop and remember to leave commments below for a chance to win a July 2016 kit!! Don’t forget today is also August Kit Reveal!!! If you are not yet a subscriber we would love to have you join the Clique!! Hey everyone! I am back with another layout to share with you! I am really excited about this one because I am using a new stamp set from Precious Remembrance Shop called Happy Art that Clique Kits now carries! 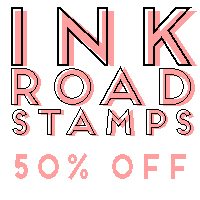 We I received the email with this new stamp release I just knew we had to add this to the shop! 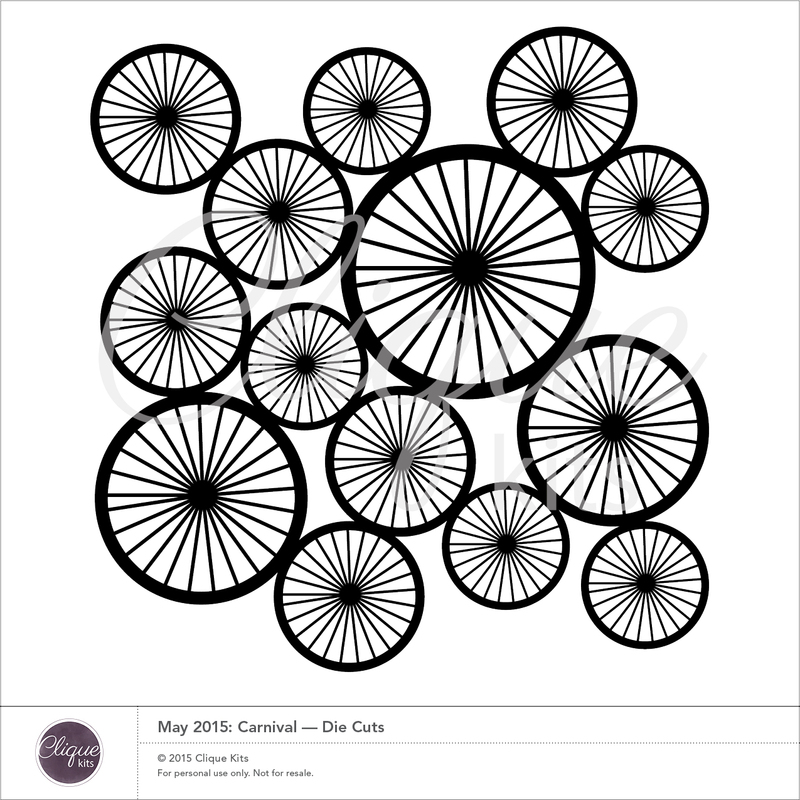 I love a stamp set that can be used in many ways and this is one of those stamps! 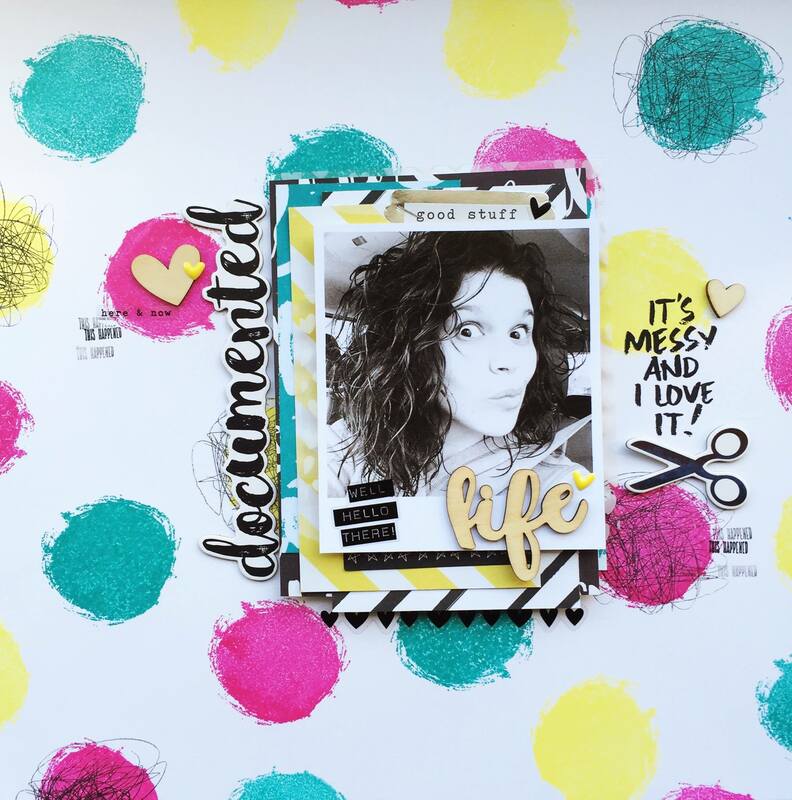 I knew I wanted to create a background with this stamp set for my layout with some fun and bright colors! I dove into my stash of Tim Holtz Distress Inks and pulled out 3 of my favorites..Picked Raspberry, Peacock Feathers and Squeezed Lemonade! I also pulled out my April Clique Kit along with a beautiful teal paper from Bella Blvd Illustrated Faith that matches not only the ink but also the papers I pulled from the kit! I am documenting this photo of myself and my crazy and wild curly hair. I had recently cut it very short and this was the first time I had not worn it straight and it looked even shorter and a little messy but I do love it! This layout was so fun to put together and I really hope you like it! Creating your own background is a great way to stretch your kits! I am having so much fun with this stamp set and kit I can not wait to share what else I have created! To see my process please check out my video below! The Happy Art stamp set is still available in the Clique Kits shop as well as the April 2016 kit! Thanks so much for stopping by my blog today and enjoy your day! 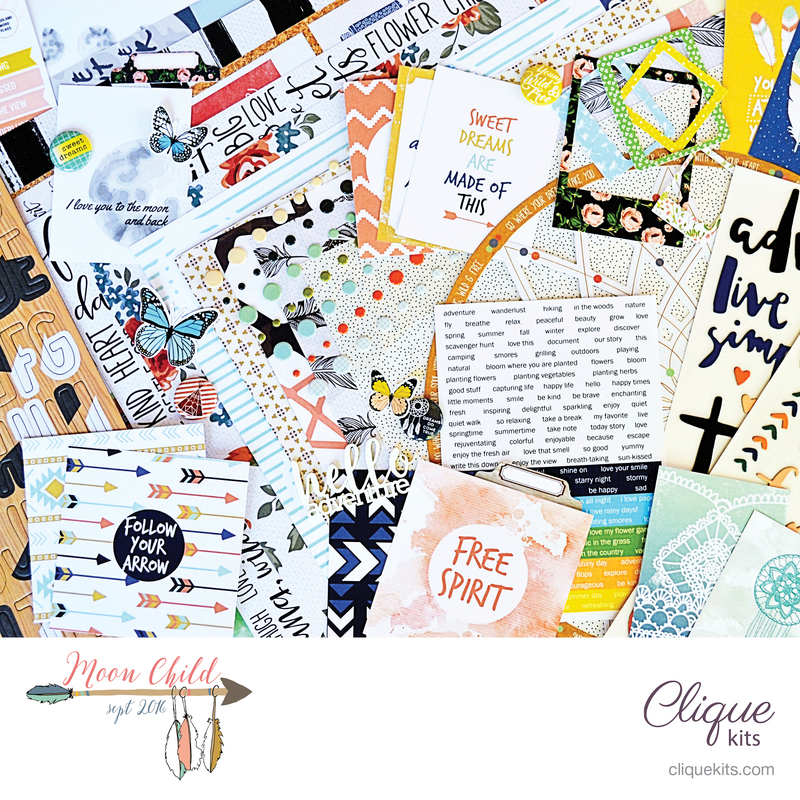 Clique Kits May Mood Board & Sneaks! 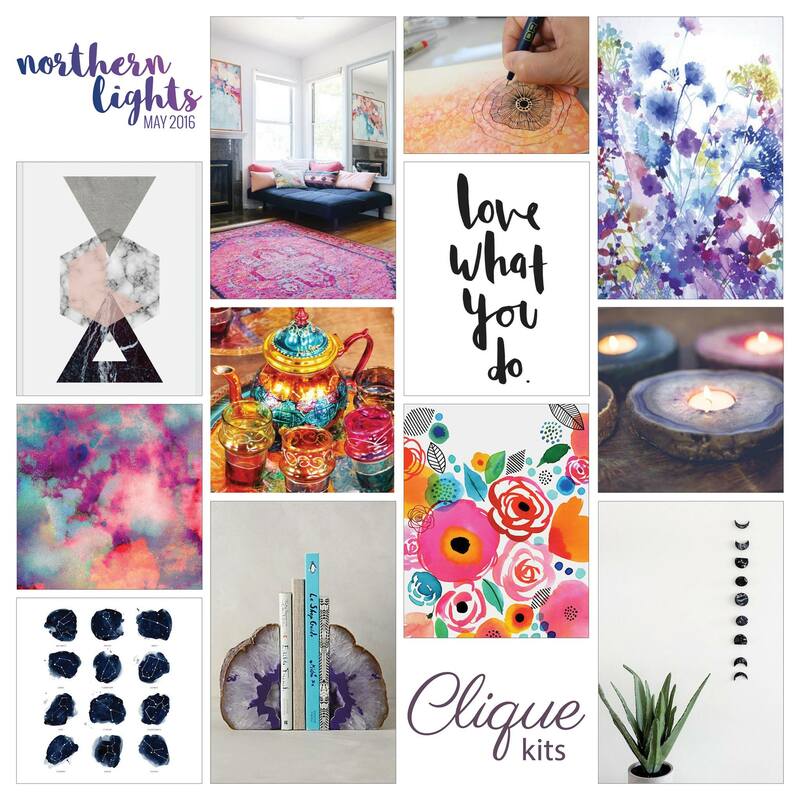 Oh I love a good mood board and I am so excited about the Clique Kits May mood board! Lacey did a fabulous job putting this one together! 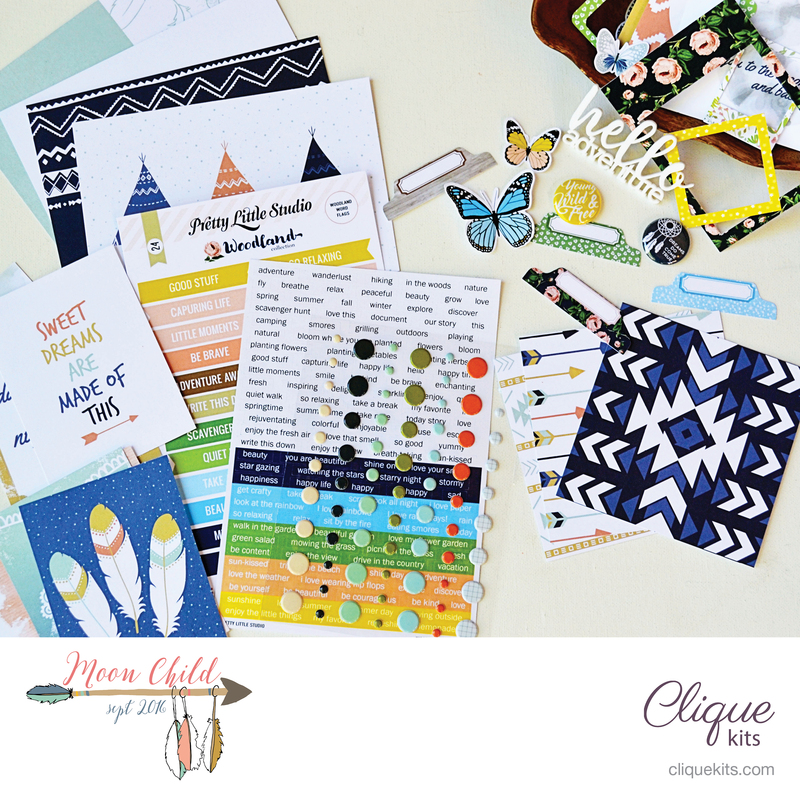 Today over on the Clique Kits blog May kit sneaks have also begun! 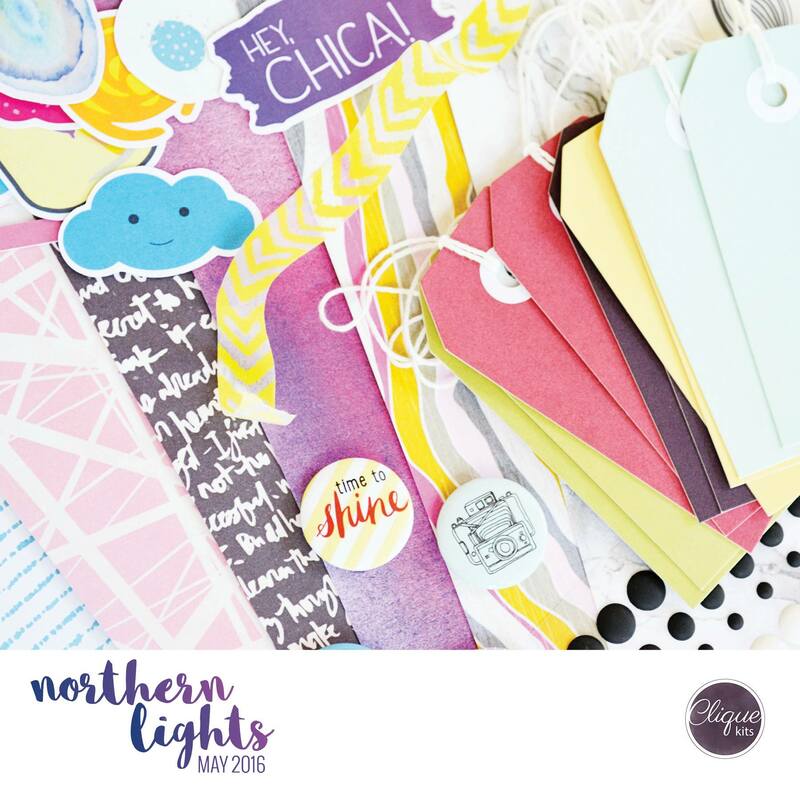 The May kit is jam packed with so many beautiful papers and embellishments! I just know you are all going to love this kit as much as I do! Any guess to what paper collection/s are in the May kit!!?? 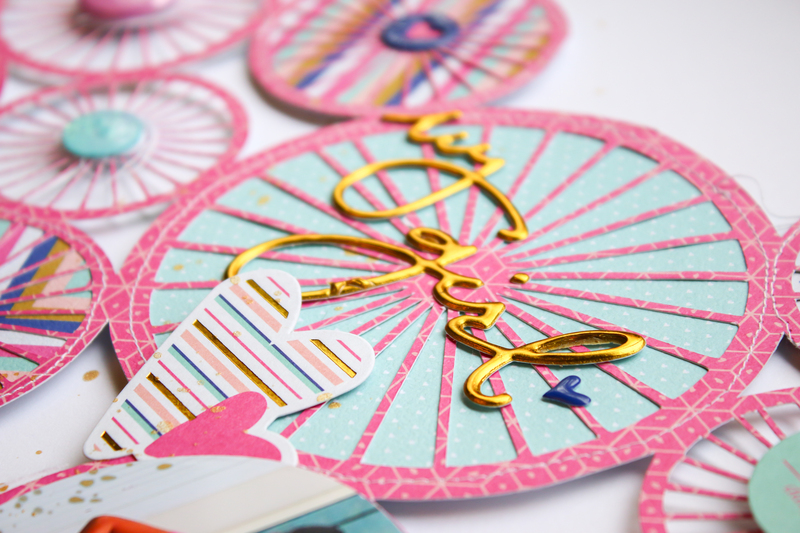 Here is a sneak for you and make sure to head on over the the Clique Kits blog to see more! 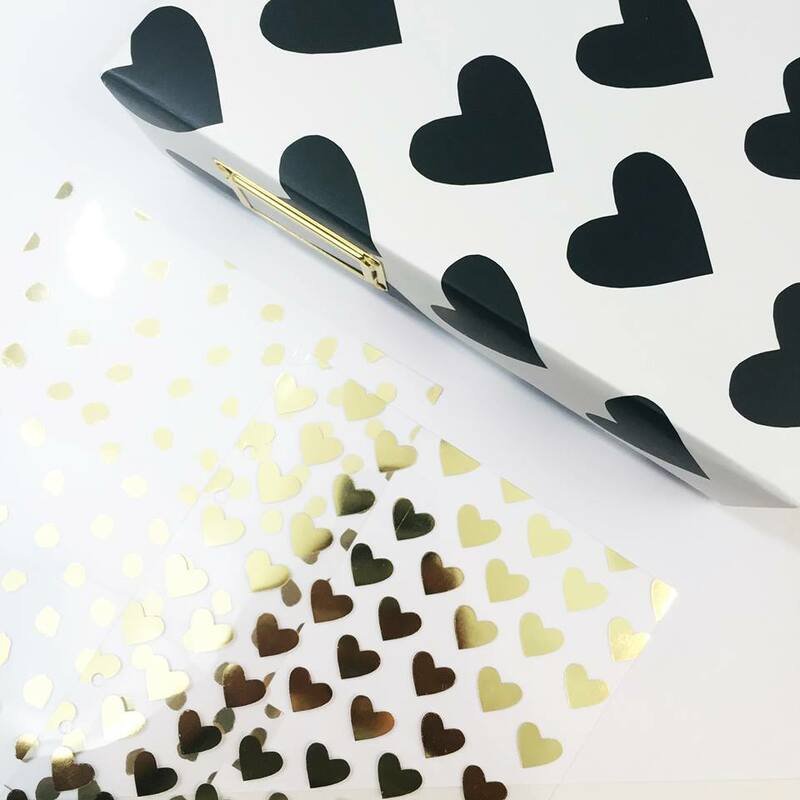 We also have some very fun exclusives for you this month designed by Lacey Gasper! We think you are going to just love them! If you have not yet subscribed we would love to have you in the Clique! 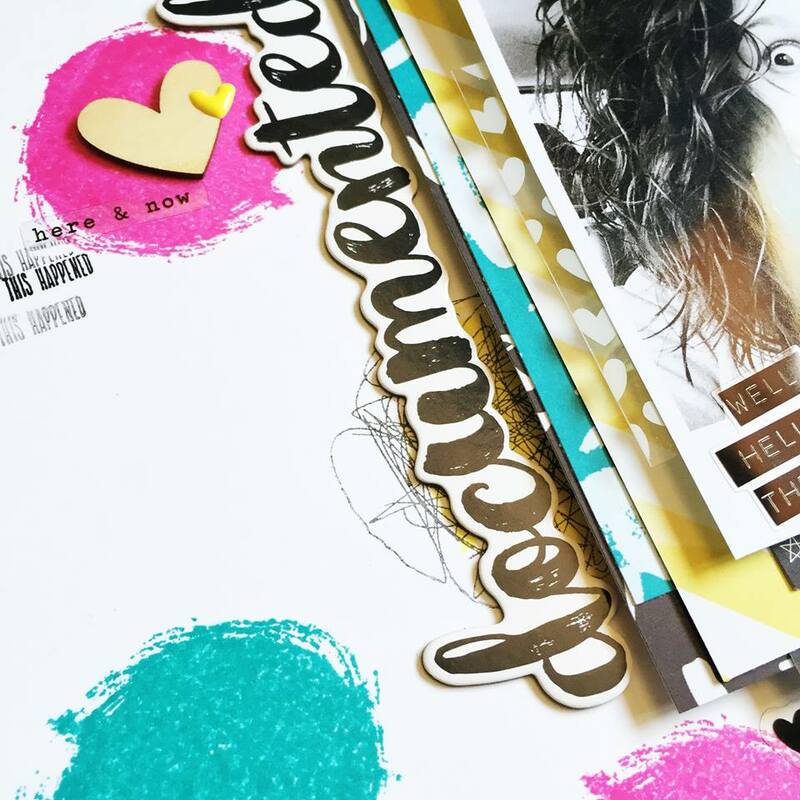 We are a no commitment kit club, we have a fabulous Facebook group and great perks for our subscribers! CLICK HERE for information on how to subscribe or email us at info@cliquekits.com if you have any questions! If you would like to check out a kit before subscribing we do have some past kits available in the shop now! You can use any 10% off design team code on past kit purchases too! Thanks so much for stopping today and I hope you all have a great rest of your day!